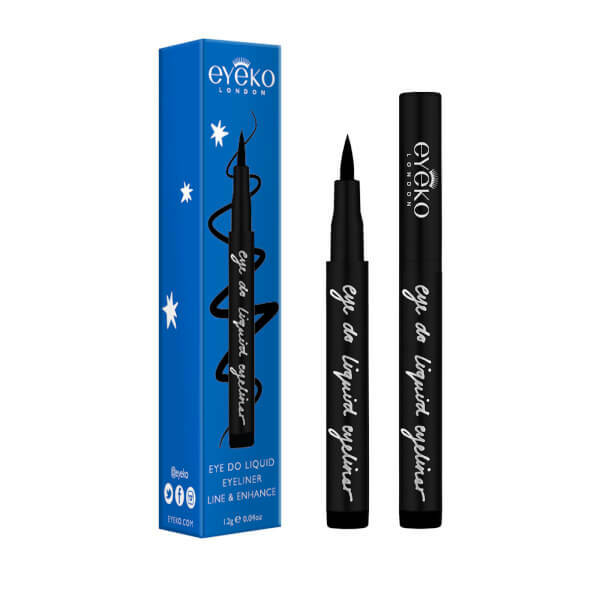 Define your eyes in a single stroke with the Eyeko Eye Do Liquid Eyeliner Deluxe, a waterproof liquid eyeliner with precision tip to expertly accentuate your eyes. 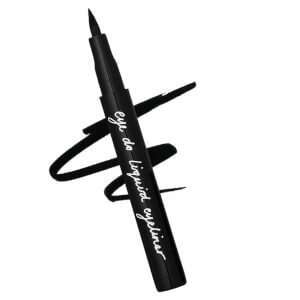 The carbon black liner delivers a shock of true colour onto lids; it glides effortlessly over eyeshadows, and is perfect for creating sultry cat eyes or defining the waterline. Formulated with WIDELASH™, the easy-to-use eyeliner make eyelashes appear longer, fuller and stronger with up to 3 times more volume in just 15 days (with regular use). Aqua (Water), Acrylates Copolymer, Butylene Glycol, PPG-26, Sorbitol, Phenoxyethanol, PEG-40, Algae extract, Caprylyl Glycol, Glycerin, Panthenol, Biotinoyl Tripeptide-1. MAY CONTAIN: CI 77266 (Black 2), CI 77007 (Ultramarines).